What Homeopathy Can Help With? So, What IS a Homeopathic Remedy? Homeopathic remedies are made primarily from natural substances, mostly plants, minerals and animals. 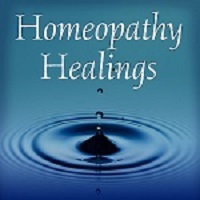 They are called homeopathic because 1) they contain the energy or vibration of the substance, not the material form of the substance and 2) the symptoms they help are those that healthy people have if they take the remedy. Consider this: A healthy person who drinks too much coffee experiences symptoms like insomnia at night, restlessness, heart palpitations, dizziness, and diarrhea. If you come to a homeopath with these same symptoms, even if you don’t drink coffee, a remedy made from coffee called Coffea Cruda would be one remedy the homeopath would consider to help with these symptoms. 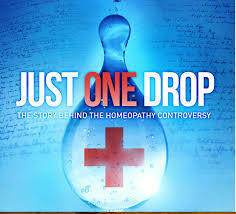 All homeopathic remedies are made through repeated steps of dilution (adding water to it) and succussion (hitting it against a hard surface which energizes the water). By the time a remedy is put on a lactose pellet (the preferred delivery system), it has gone through this dilution and succussion step anywhere from 3 times (which is called a 3C remedy) to 50,000 times (which is a 50M)! Most over-the-counter remedies are 6C, 12C and 30C. The higher the number, the less material substance there is and the more energy and strength from the succussion. Many homeopathic remedies (typically 6C, 12C and 30C versions) are available over-the-counter at a natural or health food store like Whole Foods or The Vitamin Shoppe for about $10 a tube. I may direct you to purchase one there or I may provide you with it if I have it in stock. I also have access to higher potencies for use treating more chronic health issues. Remedies are regulated by the FDA and created in homeopathic pharmacies under the supervision of the Homeopathic Pharmacopeia of the United States (HPUS). Remedies are thankfully very pleasant tasting and can be delivered in several ways, typically on lactose sugar pellets or in water. The lactose sugar pellets taste sweet and the water remedy, well, tastes like water! You will be specifically instructed on which to do. Depending upon many different factors, you will be directed to take your remedy just once, several times a day, once a week, or other, depending on your unique situation. PLEASE make sure you follow my directions, even though they may go against what you think you should do. You have probably been accustomed to taking a chemical medicine (over-the-counter or prescription) say every 4 hours or once a day but homeopathy isn’t chemical medicine, it’s energy medicine. It’s like starting a car – once it’s started, you don’t want to keep turning the key if the engine is running. You want the engine to run as long as it can before needing to turn the key again. Some people may never need to turn the key again while others may need to do it daily. You have to see what your body does with the remedy and following my direction is very important. Homeopathic remedies are all natural and do NOT have side effects like conventional medicine. They are safe for men, women, pregnant women, children, infants, and animals. They can be taken with ANY prescription or vitamin without issue. Remember that some homeopathic remedies are available over-the-counter at health food stores. Ideally, if you decide that homeopathy is going to be a regular healthcare choice for you, I suggest you buy a 30C remedy kit to have in the house for acute situations like flus, coughs, injuries, bites, etc. When you are ready to do this, I can suggest a place to order it from. Please do NOT take any other homeopathic remedy unless instructed to do so under homeopathic care. This may interrupt your healing process. Avoid strong odors including oils and perfumes and Altoids or breath strip mints, menthol, eucalyptus (especially Hall’s mentholyptus), camphor, Tea Tree Oil, Tiger Balm, and Vicks VapoRub. They may interfere with the action of the remedy. Sometimes, coffee and decaf coffee are an issue so it is recommended you avoid any coffee products in the first few weeks of treatment. All other caffeinated beverages (green and black teas, sodas, etc.) are fine. Talk to me if this is a big issue. Deep energy therapies such as acupuncture, chiropractic or other energetic therapies should not be started at the same time as homeopathic care but are fine after the effect of the remedy is apparent and can be adequately evaluated. Dental work, especially drilling, may also inhibit the action of your remedy. If after a dentist appointment you feel your symptoms coming back, get in touch so we can evaluate if another dose of your remedy needs to be taken. If you are instructed to hold onto a remedy or have more in a tube or bottle, please keep it in a DRY cool place, preferably NOT the bathroom where the steam from the shower can affect the remedy. What Happens After You Take a Remedy? When you receive your remedy, please follow the instructions given. After the remedy is taken, some people have an immediate reaction, some do not. Since most of my clients come with chronic conditions (symptoms that have been around for more than 3-6 months), it’s unrealistic to expect a quick fix. The body needs time to heal itself. Homeopathy is a VERY individual experience, no two people react the same to the same remedy. I encourage you to call me in the first few days or at the most a week to let me know how you are. We will schedule a formal follow up with 4-6 weeks after your remedy as it can take that long for the body to start healing itself, especially IF it’s the correct remedy match for you (we call this the simillimum). When I recommend a remedy, I always keep a second choice in mind in case the first one doesn’t quite match. That’s why I want to make sure you come back for at least three visits over a three month period when you first start working with me. According to Hering’s Law of Cure, healing happens from the inside-out, from the top-down, from more serious to less serious and in reverse order of appearance of symptoms. I am looking for a lessening of your symptoms so that each flare up or symptom episode, say of allergies or migraine, becomes less frequent, less intense and less long-lasting. I will ask about this when we meet for your follow up appointment which is typically 4-6 weeks after your remedy is taken. A homeopathic remedy that best matches the totality of your symptoms can work wonders. However, if there are maintaining causes, no remedy can provide long-lasting effects. A maintaining cause is something present in your life that prevents total healing. It could be the foods eaten such as gluten, dairy or sugar, artificial sweeteners, exposure to toxins in one’s environment such as mold or dust, first or second hand smoke, toxic people in your life, unusually high levels of stress and more. The goal is to become aware of these and work on reducing and/or removing as many as possible to achieve higher levels of health. Your first appointment, also called your initial intake, will take between 90 minutes and two hours so please allow yourself this time in your schedule when we meet. I will want to know what brought you to my office including the symptoms you are experiencing, what brought them on, what makes them better or worse, and more. The more detailed information you can provide, the better. I want to know all about your chief complaints (what brought you to me) as well as who you are mentally, emotionally and physically. Don’t worry, I’ll ask any questions needed to fill in the blanks. In effect, you are sharing with me a hundred or so pieces of your life’s puzzle and my job will be to put them together and match you to the most appropriate homeopathic remedy. At the end of our first meeting, I may suggest a homeopathic remedy right then but more likely, I may want to further study all the information you provided before deciding on a good remedy for you. I may email or call you with a few more questions and then share with you my remedy recommendation. What I look for is something called a “constitutional remedy”, one remedy that treats all of who you are with the totality of your symptoms in an effort to enhance your general health and well-being. This chosen remedy is meant to work with your vital force which Hahnemann uses to describe the energy that animates all living beings. In addition to finding the right remedy for you, I may suggest some lifestyle or diet issues that may need attention or suggest avoidance of some unhealthy activities you may not have been aware of. I may suggest you visit your primary care physician or other medical professional to get tested to make sure we aren’t dealing with something more serious. If your objective of coming to see me is to get off a pharmaceutical medication, please know that I totally support this BUT I CAN NOT take you off of a medicine another professional has prescribed. You will need to work with the prescribing professional on this. 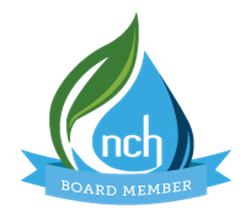 A great resource for more information, education and research about homeopathy is The National Center for Homeopathy (www.homeopathycenter.org).